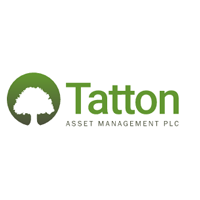 Shares in Tatton Asset Management PLC with ticker code: LON:TAM has moved up 3.74% or 7.5 points throughout today’s trading session so far. Investors seem confident during this period. Range high for the period so far is 208 while the low for the session was 208. The total volume of shares traded by this point was 3 with the average number of shares traded daily being 5,771. A 52 week high for the stock is 294 around 93.5 points difference from the previous days close and the 52 week low at 190 a difference of some 10.5 points. Tatton Asset Management PLC now has a 20 SMA at 200.82 and now the 50 day moving average now of 228.04. Market capitalisation is now £116.29m at the time of this report. The currency for this stock is Great British pence.Market cap is measured in GBP. This article was written with the last trade for Tatton Asset Management PLC being recorded at Wednesday, January 9, 2019 at 8:59:55 AM GMT with the stock price trading at 208 GBX. Shares in INTERCONTINENTAL HOTELS GROUP Common Stock company symbol: LON:IHG has stepped up 1.26% or 54 points during today’s session so far. Investors are a positive bunch throughout the session. The period high has peaked at 4349 meanwhile the session low reached 4303. Volume total for shares traded at this point reached 102,550 with the average number of shares traded daily being 596,546. The 52 week high is 5050 which comes in at 776 points difference from the previous days close and putting the 52 week low at 3850 which is a difference of 424 points. INTERCONTINENTAL HOTELS GROUP Common Stock now has a 20 moving average of 4191.41 and a 50 day simple moving average now of 4204.34. Market capitalisation for the company is £8,258.46m at the time of this report. The currency for this stock is Great British pence.Market cap is measured in GBP. This article was written with the last trade for INTERCONTINENTAL HOTELS GROUP Common Stock being recorded at Wednesday, January 9, 2019 at 12:02:29 PM GMT with the stock price trading at 4328 GBX. 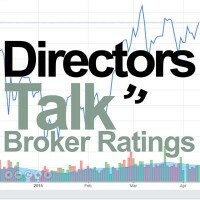 The trading price for Intertek Group plc with ticker code: LON:ITRK has climbed 1.7% or 84 points during today’s session so far. Investors have remained optimistic throughout the session. The high for the period has reached 5050 and hitting a low of 4976. The amount of shares exchanged has so far reached 59,966 while the daily average number of shares exchanged is 472,618. The stock 52 week high is 6084 about 1130 points difference from the previous close and the 52 week low at 4323 a difference of some 631 points. Intertek Group plc now has a 20 SMA of 4804.29 and now the 50 day moving average of 4740.02. Market capitalisation for the company is £8,130.99m at the time of this report. The currency for this stock is Great British pence.Market cap is measured in GBP. This article was written with the last trade for Intertek Group plc being recorded at Wednesday, January 9, 2019 at 12:02:50 PM GMT with the stock price trading at 5038 GBX. 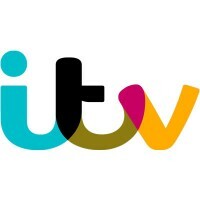 The trading price for ITV plc with EPIC code: LON:ITV has climbed 4.67% or 6.13 points during the course of today’s session so far. Buyers have remained optimistic throughout the session. Range high for the period has seen 138.15 meanwhile the session low reached 132.59. The total volume of shares exchanged through this period comes to 6,409,675 whilst the daily average number of shares exchanged is just 14,819,655. The 52 week high price for the shares is 183.1 amounting to 51.7 points difference from the previous days close and the 52 week low at 121.5 is a variance of 9.90 points. ITV plc now has a 20 SMA of 128.8 with a 50 day simple moving average now of 142.17. The current market capitalisation is £5,536.16m at the time of this report. The share price is in GBX. Mcap is measured in GBP. This article was written with the last trade for ITV plc being recorded at Wednesday, January 9, 2019 at 12:02:33 PM GMT with the stock price trading at 137.53 GBX. Shares in J Sainsbury plc found using EPIC: LON:SBRY has stepped up 2.21% or 5.9 points in today’s trading session so far. Buyers have remained optimistic during this period. Range high for the period has seen 273.1 and hitting a low of 259. Volume total for shares traded at this point reached 4,232,328 with the daily average traded share volume around 9,578,802. A 52 week high for the stock is 341.8 around 75.3 points difference from the previous days close and the 52 week low at 224.7 which is a variance of 41.8 points. J Sainsbury plc has a 20 day moving average of 270.96 and now a 50 day MA at 298.67. The market capitalisation currently stands at £6,001.84m at the time of this report. All share prices mentioned for this stock are traded in GBX. Mcap is measured in GBP. This article was written with the last trade for J Sainsbury plc being recorded at Wednesday, January 9, 2019 at 12:02:39 PM GMT with the stock price trading at 272.4 GBX. Shares in Johnson Matthey PLC found using EPIC: LON:JMAT has risen 1.8% or 52 points during today’s session so far. Investors have so far held a positive outlook throughout the trading session. The high for the period has peaked at 2963 while the low for the session was 2923. The amount of shares exchanged has so far reached 128,228 with the daily average at 757,033. The 52 week high price for the shares is 3873 which is 978 points difference from the previous days close and putting the 52 week low at 2574 which is a difference of 321 points. Johnson Matthey PLC now has a 20 moving average of 2794.59 and now a 50 day moving average of 2917.57. Market capitalisation is now £5,703.43m at the time of this report. The currency for this stock is GBX. Market cap is measured in GBP. This article was written with the last trade for Johnson Matthey PLC being recorded at Wednesday, January 9, 2019 at 12:02:32 PM GMT with the stock price trading at 2947 GBX. Click IHG ITRK ITV JMAT SBRY TAM for the full archive.